To help me out on my new journey as a mum of 2, some friends and fellow bloggers have kindly accepted to write here. I will call them the Piri Sojourners. Here is our first installment. Today's Piri Sojourner is Julie from Open Wide the World. Julie is a trained Speech Pathologist and I asked her to write about what to do when you worry about your child's language development. 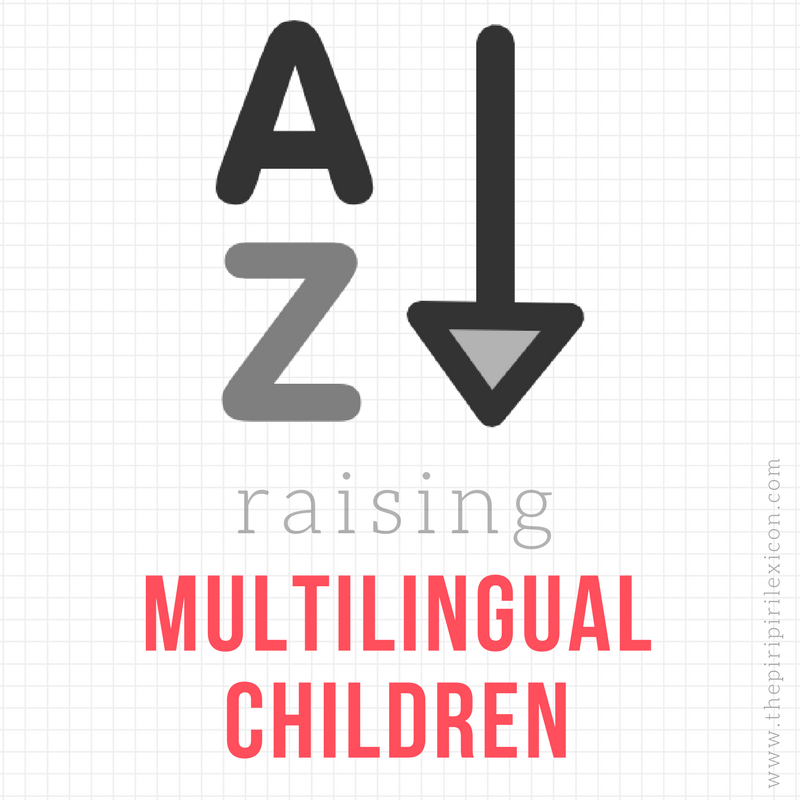 I get so many questions on this blog and on our Facebook group about raising multilingual children about what to do when your child does not say many/any words that I thought it would be useful to get a professional's answer to the question. 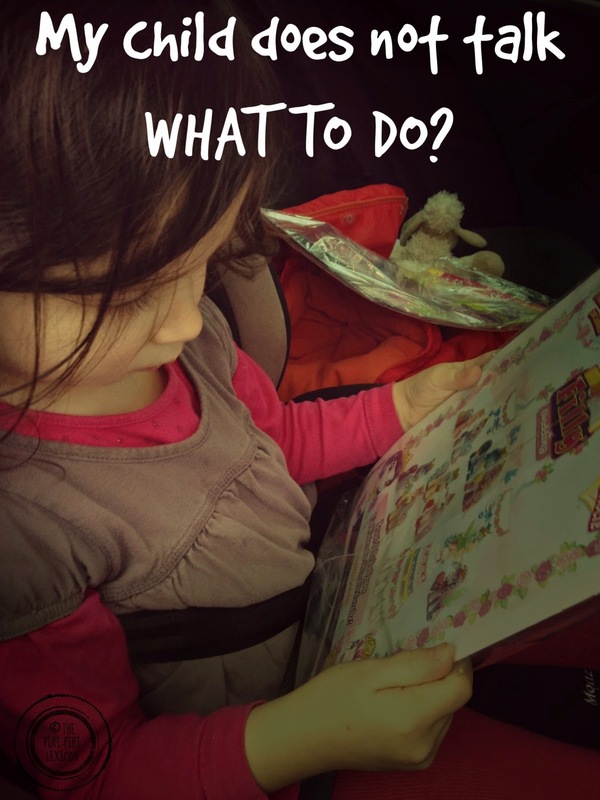 In a world where milestones and metrics meet parents at every turn, it can be difficult to get a handle on when to feel comfortable with our children's development and when to hit the panic button. This is certainly true in the arena of speech and language development. When a child isn't talking as early as an older sibling did, or as precociously as a neighbor child does, or exactly when the pediatrician's chart says he should, parents may wonder if something is wrong. Those same parents will assuredly be met with well-intentioned advice from friends and family: "Don't worry. Little so and so didn't begin to talk until he was 3, and now you can't get him to stop talking. Just relax. Your little guy will start talking when he's ready." In my career as a Speech-Language Pathologist, I have seen this exact scenario time and time again. If I had a dollar for every family who felt conflicted between their intuition and the advice of their friendly social circle, I would have enough to buy that flat in Paris that I've been dreaming of! But since perpetuating this conflict won't send those dollars my way (sorry, croissants and cafÈs, you'll have to wait), I'd like to get some guidelines out there, so parents can gauge their intuition against the advice of the American Speech-Language and Hearing Association, or ASHA. 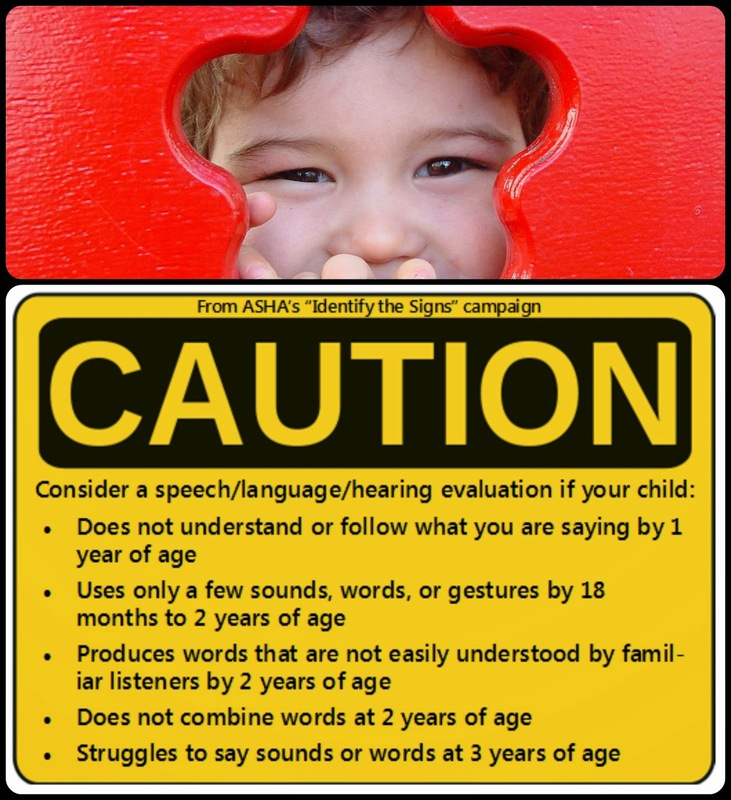 And so, if you do have concerns over your child's speech-language and/or hearing development, I would advise this: politely accept all the friendly reassurance you will receive. Then listen to your parental intuition and the advice of the American Speech-Language and Hearing Association, and have your child's speech-language and hearing evaluated by a professional. You'll either receive peace of mind that your child's development is on track, or finally be ready to move forward toward improved communication and all the social and academic advantages it brings with it. Because communication really does Open Wide the World! * ASHA notes that early identification of speech-language and/or hearing disorders (via evaluations by Speech-Language Pathologists and Audiologists) generally coincides with shorter duration of treatment (which also equates to a lower cost over time). Unfortunately, an ASHA survey of 1000+ Speech-Language Pathologists in the U.S. also reveals that close to 70% of parents who have a concern regarding their child's speech/language/hearing wait from 6 months to 2 years before acting on those concerns, potentially adding time, expenses, and anxiety/frustration to the process. Thank you for writing this post, Julie, great advice! I also get a lot of these questions, so I will be linking back!